Thursday nights are all about students! Check out our advanced level Conservatory students doing long form improvisational comedy alongside house teams and veterans. 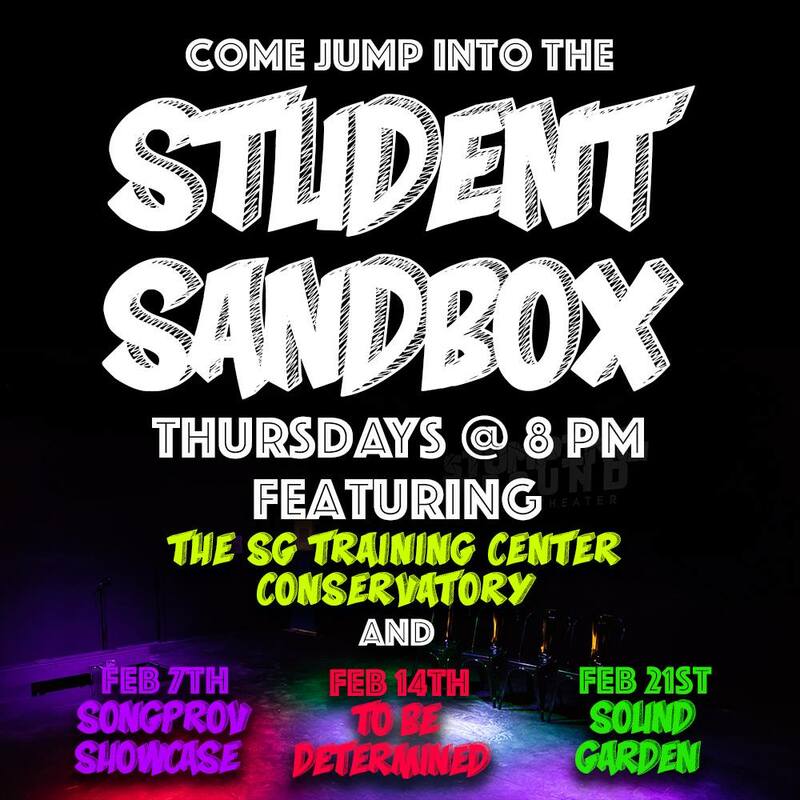 Thursday, February 21 will feature the newest SG songprov team, Sound Garden.